Problems. Blocks. Fears. We all have them. We try to think them away. We can't. Especially the ones that come from difficult times. Our thoughts are just on the surface, so changing our thoughts is temporary. Positive thinking is nice, but it is not going to resolve deeper problems. The roots of these run much deeper. Where? In the brain. We all know that our brain gets wired in a certain way deepening on life experiences we go through. We help you uncover your subconscious blocks, overcome your fears and restore your belief in yourself. We have helped people get out of the darkest places and the most difficult situations after decades of suffering. So we know we can help. It works. How do we do it? The mind is just as malleable as the body. We spend a lot of time and effort trying to change the external world, other people etc., while accepting ourselves the way we were conditioned (programmed) in our youths. We got used to the voice that talks in our head all the time as the source of truth. But we forget that all of it is malleable. Burdens from the past, like some memories and old outdated conditioning shapes our identity and prevents us from living freely today. So our consultations focus on you and your specific situation and we dig deep with you to find the root of your problems, so you can change them for good. Some of these roots are hiding deep in the brain. Our brain, wonderful as it is, also holds all our limitations as it is often reacts because of old, outdated conditioning. Something that happened in the past, or that we were fearful of can destroy our present moment and our future if we don't deal with it. The combination of tried and tested techniques we use - based on science - deliver amazing results, transform how you feel and in turn, eliminate your problems. It is not easy, but it is definitely worth it. If you don't believe us, read testimonials from people who worked with us over the years. We believe that one size doesn't fit all and each person's experience of the world is unique in the way they interpret it, how they feel and what their experiences mean to them. No one way suits everybody. This is why we apply methods and techniques that will suit you. Our approach towards the route of your specific challenge and the outcome is always bespoke. Tailored to you. 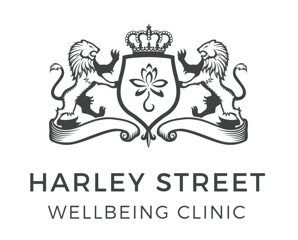 Simply contact us below and set up your free-of charge appointment with a Wellbeing Clinic Consultant, so you can tell us about your individual situation and we can discuss help available to you. Don't delay. Remember, the best investment you can make is in yourself. Your life will change and as a result, so will the lives of others around you. Sit back and let us guide you to freedom, as we believe that there is nothing more powerful than when you truly dare to be yourself. Your details are kept confidential, we will not share it with anyone. We respect and take your privacy seriously. Thank you! You will be contacted by one of our consultants to schedule your appointment.